02-04-2019 silverbow Box Text GATHER YOUR FLOCK and Sling Into Action! 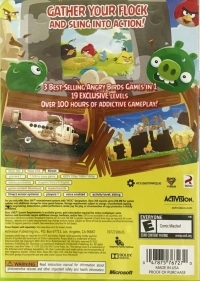 3 Best-Selling Angry Birds Games in 1 19 Exclusive Levels Over 100 Hours of Addictive Gameplay! 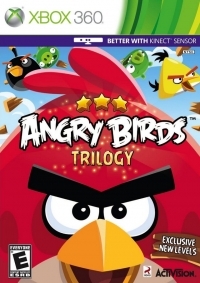 This is a list of VGCollect users who have Angry Birds Trilogy in their Collection. This is a list of VGCollect users who have Angry Birds Trilogy in their Sell List. This is a list of VGCollect users who have Angry Birds Trilogy in their Wish List.